Fusion foods are some of my favorites. After all, these usually combine the best flavors and textures across different food types. Great examples include the spicy Korean tacos and the delicious ahi tuna burgers. I’ve seen the “japadog” street vendor carts in Vancouver BC. I even waited in line for one once, but gave up because of the long line. Recently, I heard that one had opened up in Seattle near the Pike Place Market. So, this morning I ventured out in search of a japadog and found a cart on 2nd & Pike. The Japanese fillings looked great on the hot dogs. 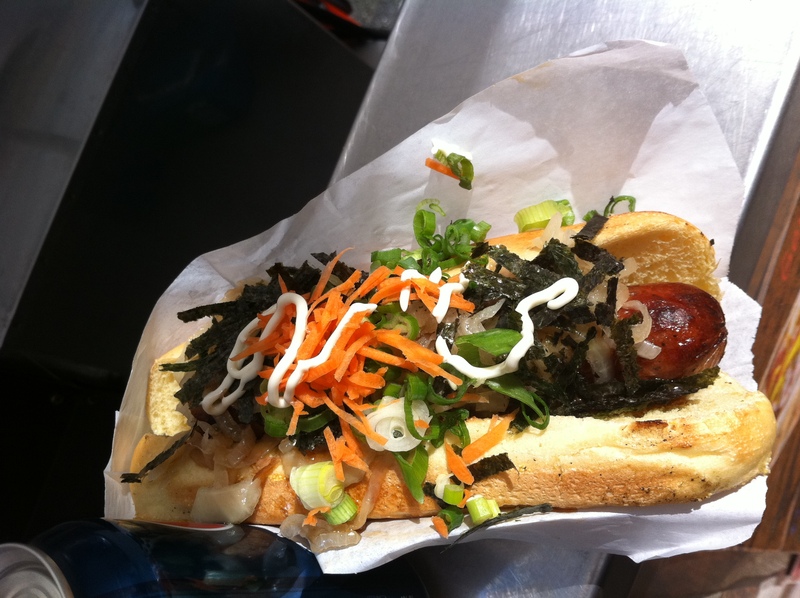 I chose the Matsuri dog, a meaty kielbasa topped with carrots, dried seaweed (nori), sweet mayo and terriyaki-glazed onions. Yum. The Japanese flavors complimented the salty hot dog perfectly. Next time I’ll try the Samuri dog. The cart is called Gourmet Dog Japon and apparently there are two of them, the other being inside the Pike Place Market. I’m happy that Seattle has these japadogs now. Please try them so that we keep them around. 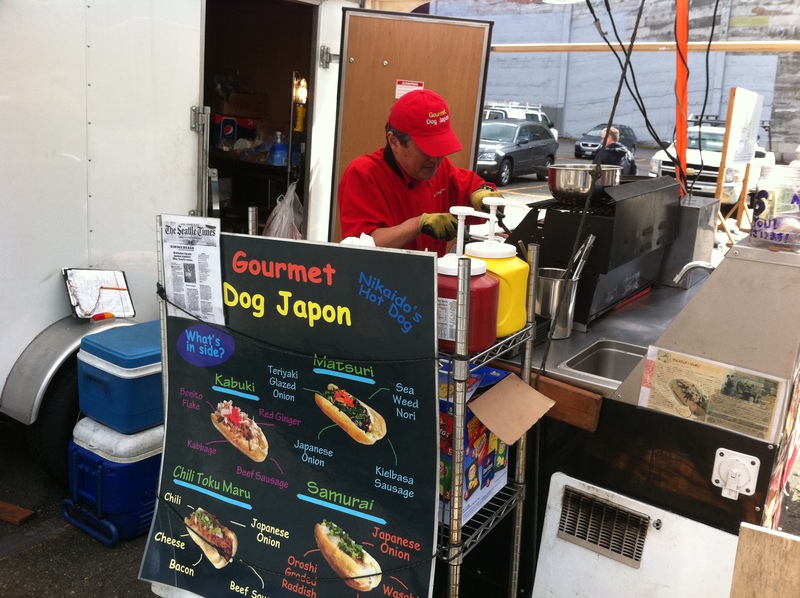 Posted in Travel and tagged Gourmet Dog Japon, japadogs, Japanese Hot Dogs, Seattle, street food. Bookmark the permalink.